Five years after placement of fat into her forehead, temples, upper eyelids, lower eyelids, cheeks, lips, chin and jawline. 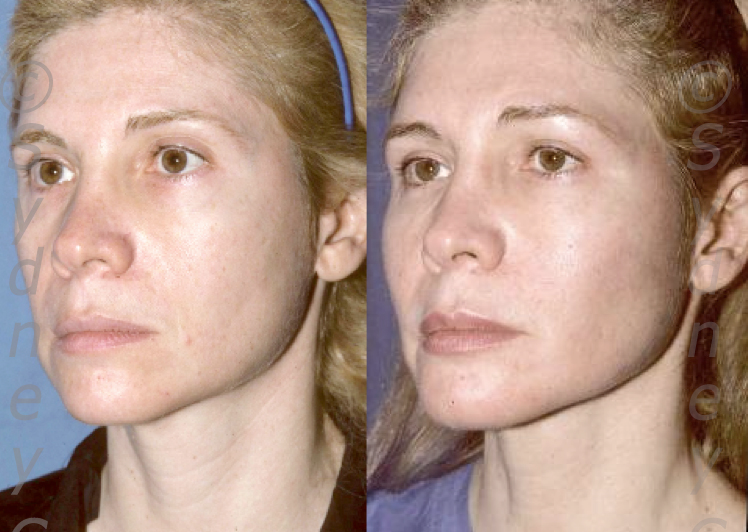 Patient had a remarkably long-lasting rejuvenation with small amounts of fat into most areas of her face. This patient returns three years and six months after one fat grafting procedure with placement of fat over almost every area of her face: her forehead, temples, upper eyelids, lower eyelids, cheeks, jawline, chin and lips. Please observe the remarkable improvement in the quality of the skin: color, pigmentation and wrinkling have all improved. 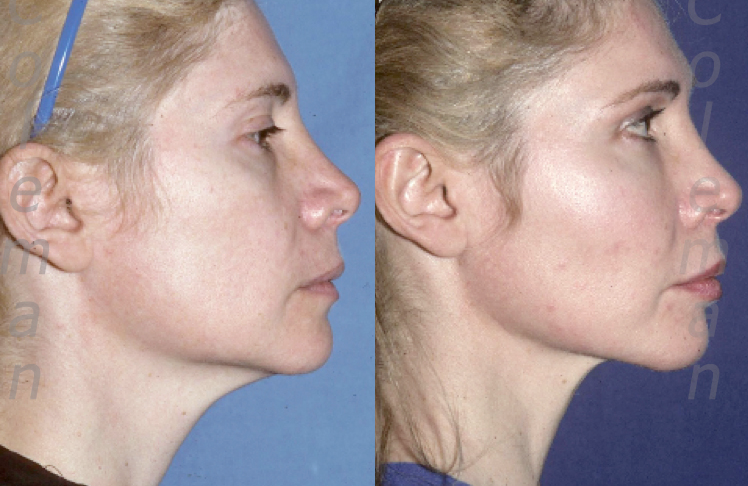 The ability of fat grafting to create a stronger, straighter jawline is demonstrated in this one-year follow-up (right). The jawline is straightened by creating structure in front of and behind the jowl. 3 years after a thin layer of fat was transplanted under the skin of the neck, the patient returns with improved quality of the skin, more even pigmentation, softened wrinkles and less obvious creases.